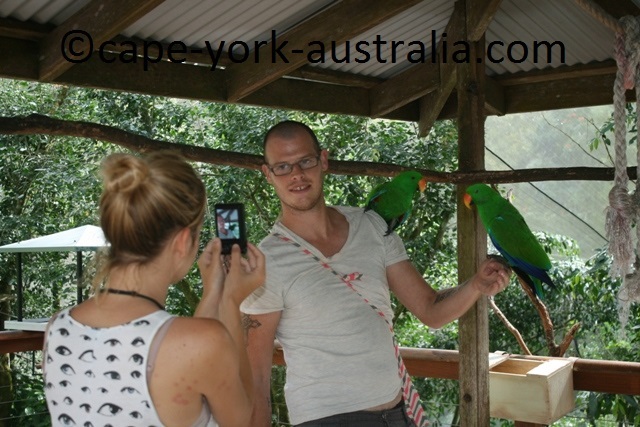 Kuranda wildlife parks are popular with international travellers. Along with the famous heritage and rainforest markets, these parks are the town's top attraction. 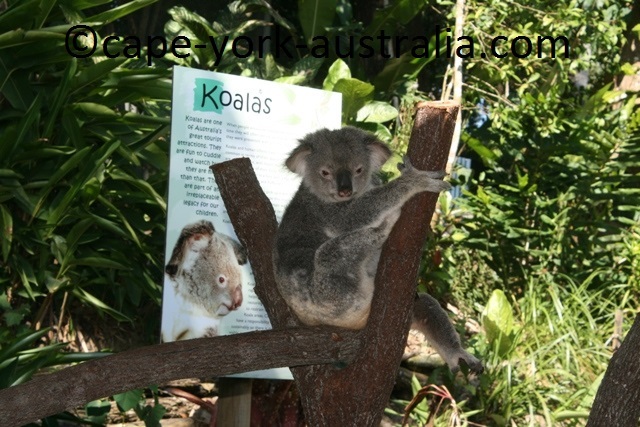 If you are from overseas and haven't got close to unique Australian animals, you have a chance to do it at Koala Gardens. 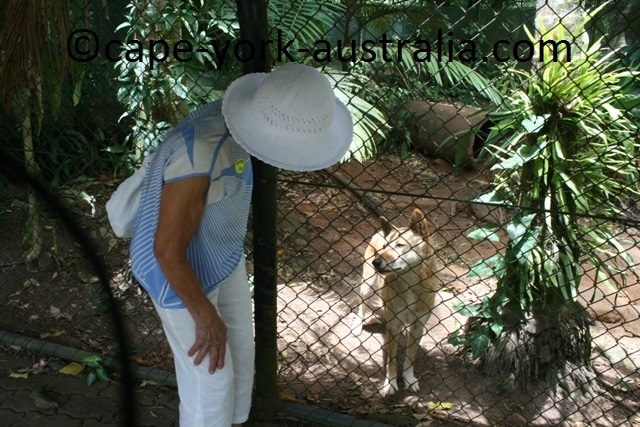 And you can learn about some of Australia's dangerous animals at Kuranda Venomous Animals Zoo. 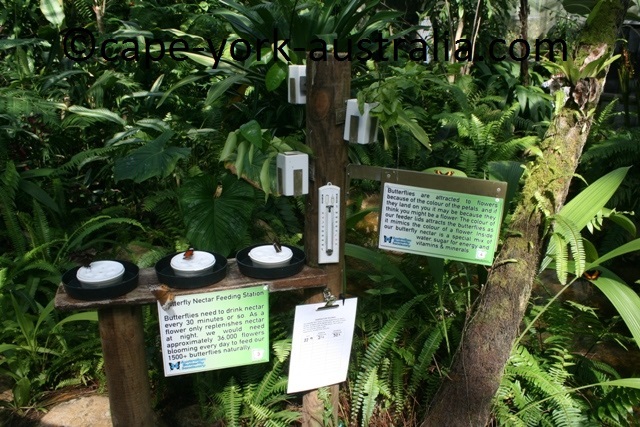 Rainforestation, which is a bit outside the town, is another Kuranda wildlife park that is popular with international travellers. 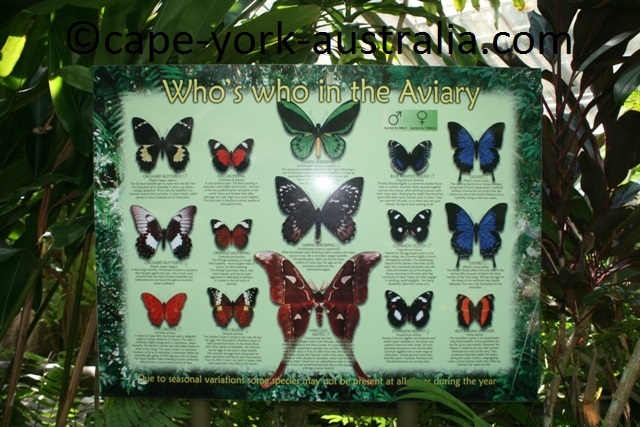 But even if you are from Australia, it's worth visiting Birdworld and Australian Butterfly Sanctuary - it's the only one of its kind in Australia. 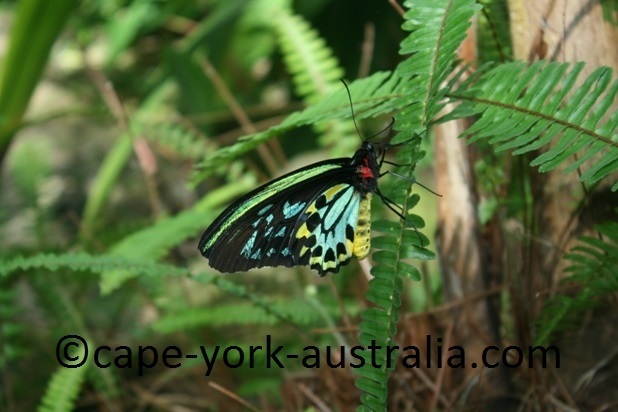 The tropical climate of north Queensland means insects grow extra large, and Australia's largest and most amazing butterflies are found here. 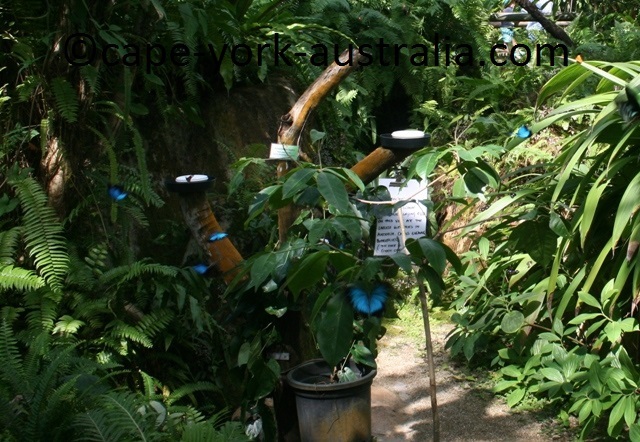 This sanctuary is the only place in Australia where you get this close to Cairns Birdwing and Ulysses Butterflies, as well as Hercules Moths and other giants. 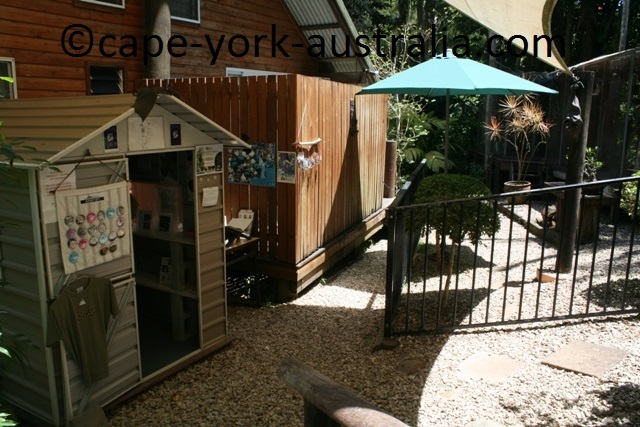 This is a fantastic bird aviary where you walk inside and have birds flying right next to you. 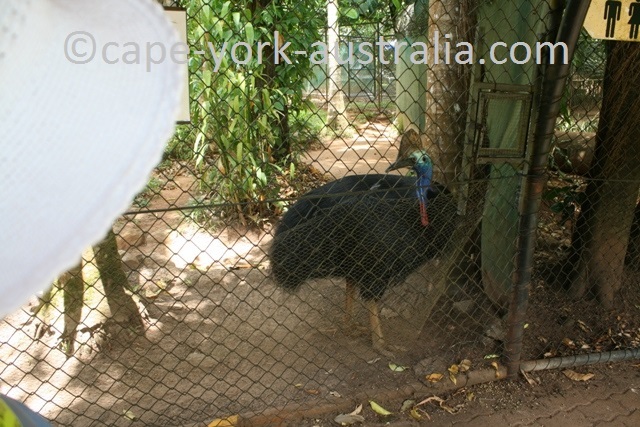 There are exotic species like macaws and conures as well as Australian birds including Cape York/north Queensland endemics like cassowaries and eclectus parrots. 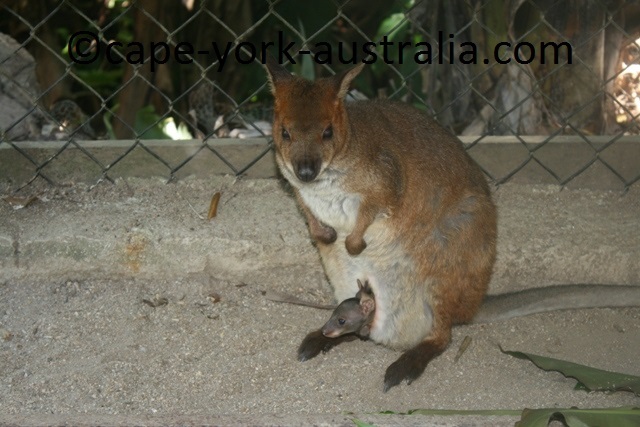 In the Koala Gardens you can have your photo taken with a koala, get close to wombats and wallabies, and have a look at some amazing reptiles such as skinks, dragons and monitors. 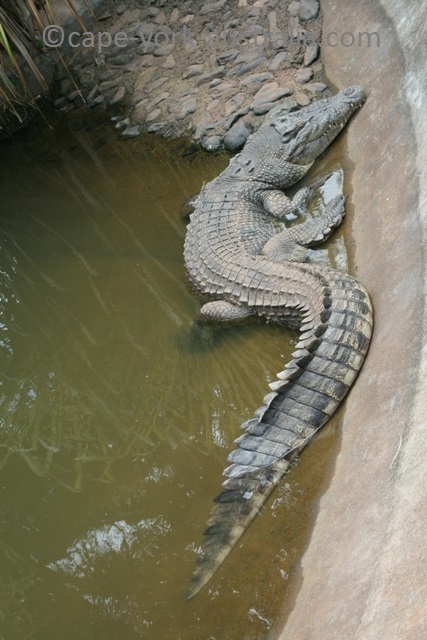 There are also freshwater crocodiles, but for the salties you have to go to Rainforestation. 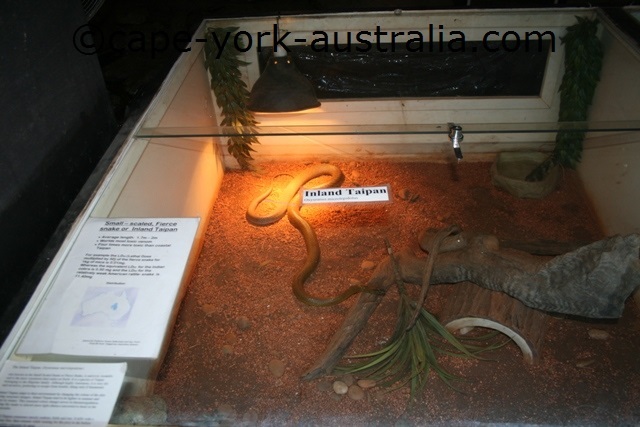 In this, (rather small), two room display you have five of Australian poisonous snakes and other dangerous creatures along with some harmless ones - like the olive python which you can hang around your neck. Makes a great photo to take back home. 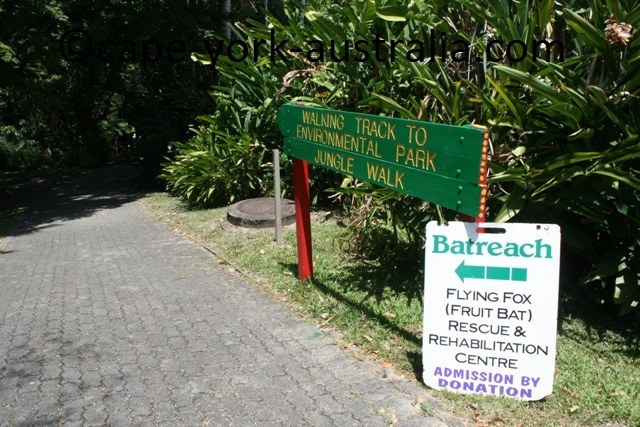 Kuranda Bat Reach is a small place almost next door to the Venom Zoo a bit off the Coondoo Street along the path that leads to the Jungle Walk. 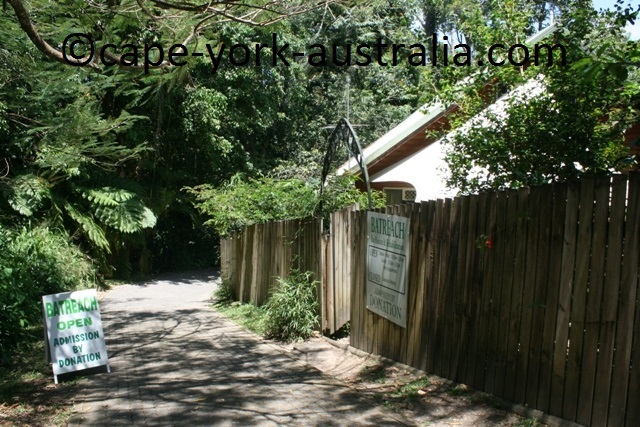 It is open less than its opening hours imply - and when they are they put out a sign at the start of the path. Open by donations. This is a rather touristic place a bit outside the town. 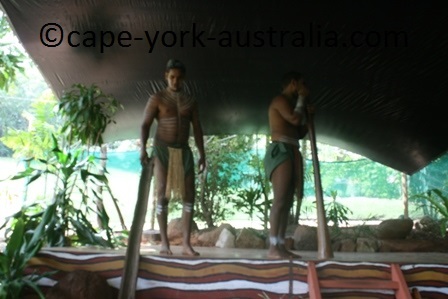 There is a wildlife park section where you can get close to the usual Australian animals; a rainforest section where you can take a tour with a WWII Army Duck, and an Aboriginal section where you can watch an Aboriginal dance performance. 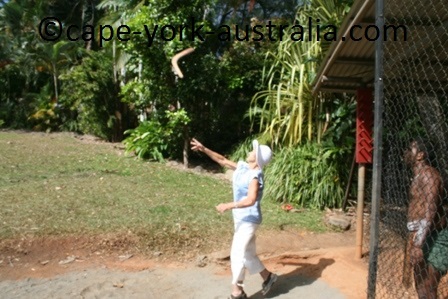 Kuranda Butterfly Sanctuary is a great place to visit. 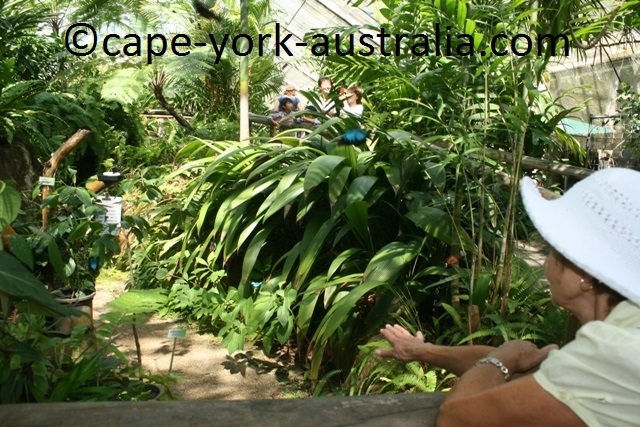 It is the largest of its kind in Australia, and with the warm, tropical climate, the butterflies themselves are also Australia's largest. 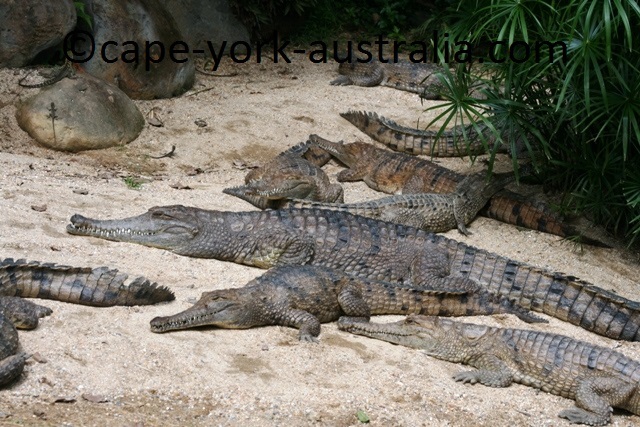 If you are an Aussie you skip the koala and kangaroo parks, but if you are form the southern parts of Australia, you will still find this park interesting. 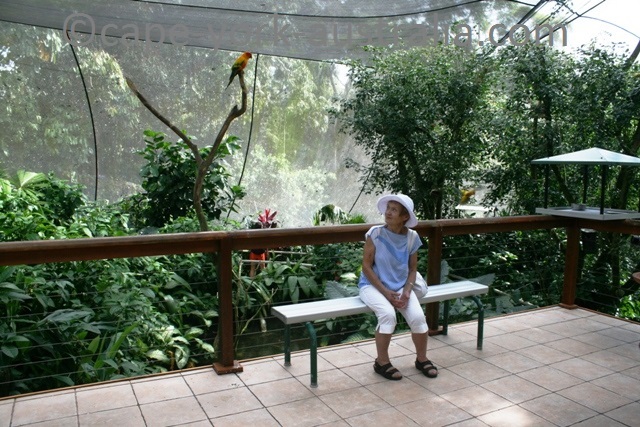 It's an aviary you walk in, so you get very close to them. There is information, feeding stations and a laboratory. 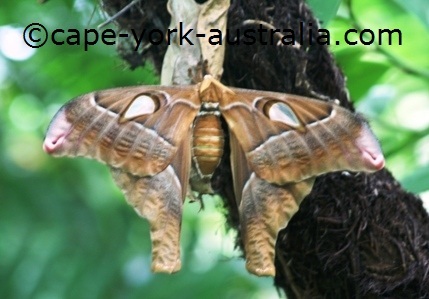 There are a few species of large moths and butterflies, including the largest ones in Australia. If you are lucky they may have a Hercules moth - Australia's largest (moths and butterflies don't live long so what you see depends on the time of your visit). 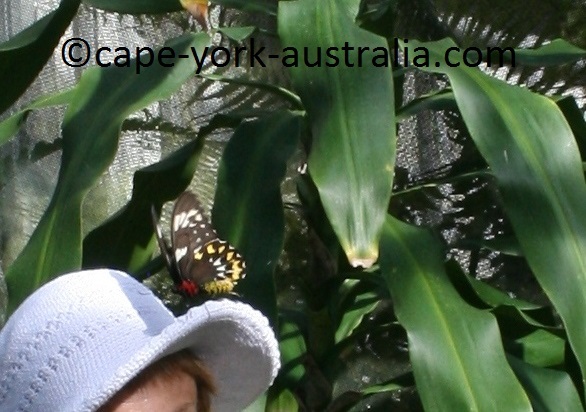 But they definitely have Cairns Birdwings - the female is Australia's largest butterfly. They are not shy so they will come and sit on you, particularly if you wear white (there is a room where you can see how butterflies see colours). 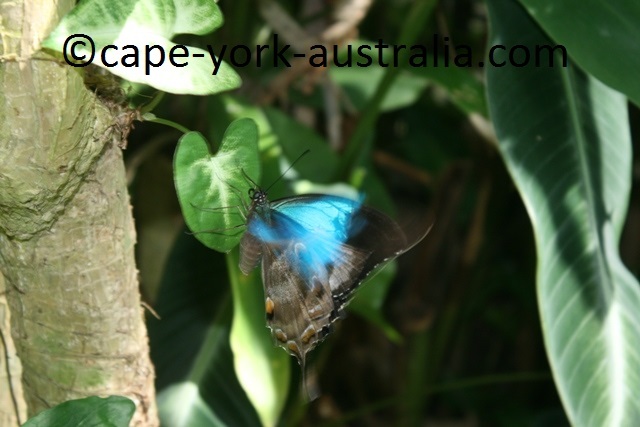 There are also the beautiful electric blue Ulysses Butterflies, they are a little harder to take good photos because when they close their wings you don't see the blue colour. And one main thing was that there are so many of them! I remember this park from years earlier and there were defintely nowhere near as many as when we visited in 2013 when Mum was here. 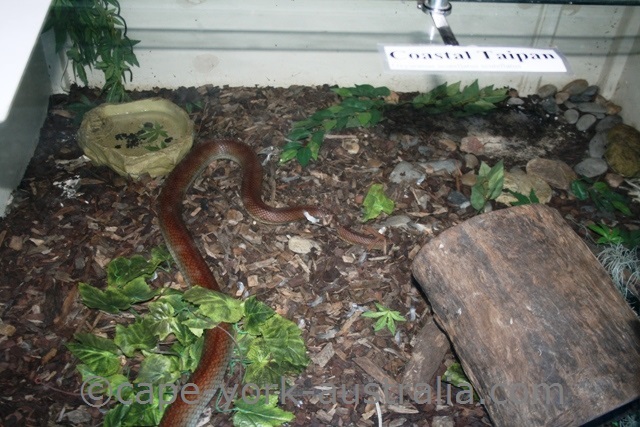 Kuranda also has a small zoo of venomous animals. 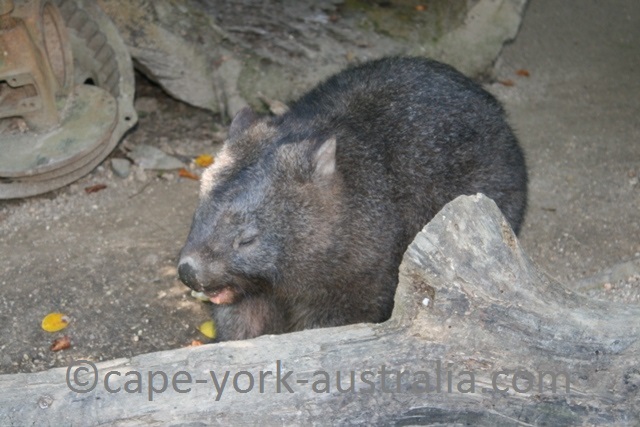 It is a bit away from the markets and the other wildlife parks, and it is also different. It is small, inside a dark room and there are not altogether so many poisonous animals to see. 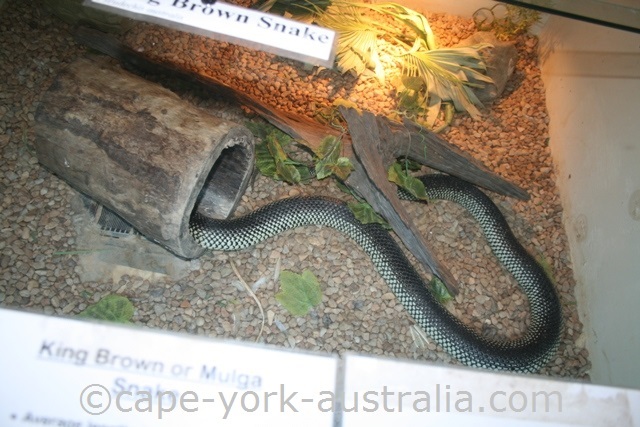 There are five species of Australia's poisonous snakes, and information on some other small dangerous creatures, but that's all when it comes to the dangerous animals. Then there are some harmless ones - the most popular being the large olive python which you can hold and put around your neck for a photo. 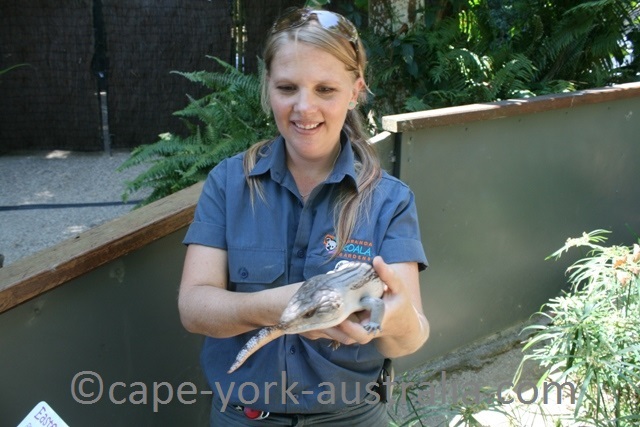 You also get a bit of a "tour" - a talk about some of the animals. 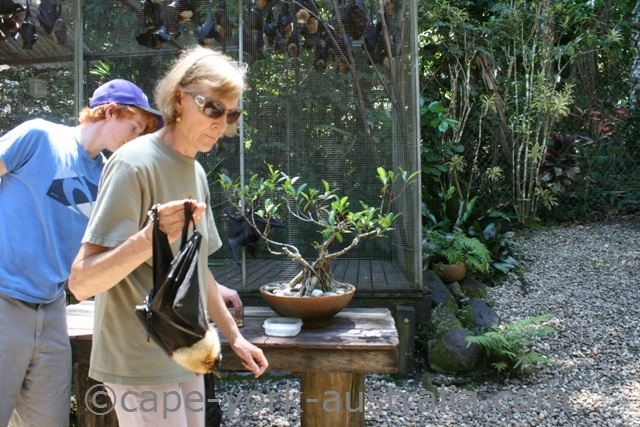 Kuranda Batreach is a small bat resque and rehabilitation centre in the middle of the town. They have flying foxes, and it's a great place to get close to them. It is run by volunteers, so the main problem is you'll be very lucky if they are open for the public, but a couple of times a week, mainly mid-morning to lunch time, they are. The centre is a little further down the street. 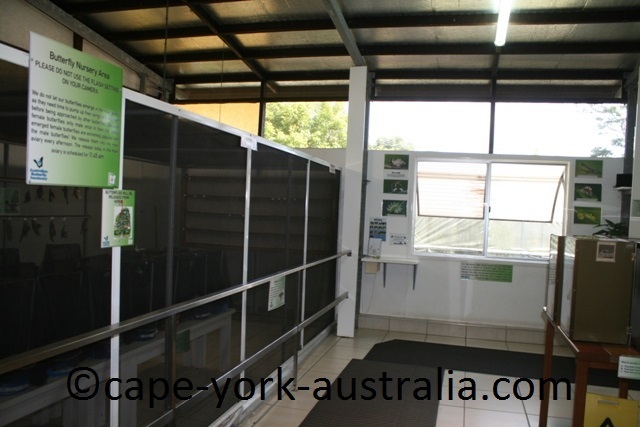 ... and during the time they are open they make themselves available to talk to you. You cannot touch but you can watch the feeding and the bats close-by. 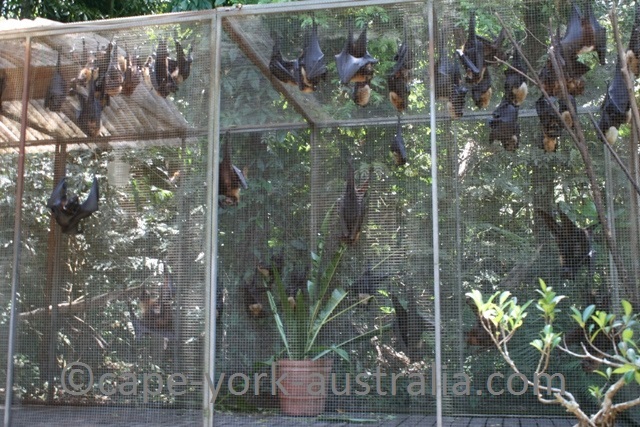 And you can learn a lot about the four species of flying foxes found in north Queensland. 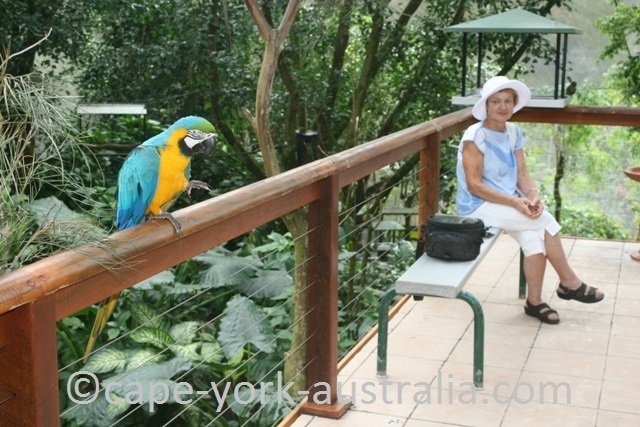 Kuranda Birdworld is a walk-in bird aviary at the Kuranda Heritage Markets. It is not a bad place to get close to birds, and you can get some good photos. There are some more remarkable Australian birds, as well as some exotic ones. There is a walk around a pond where you can see the birds flying around. And there is a feeding platform where the birds come around. 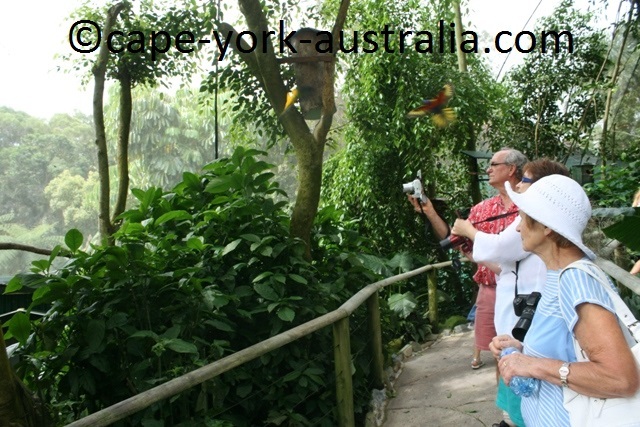 Some of the most impressive exotic birds and the South American macaws. 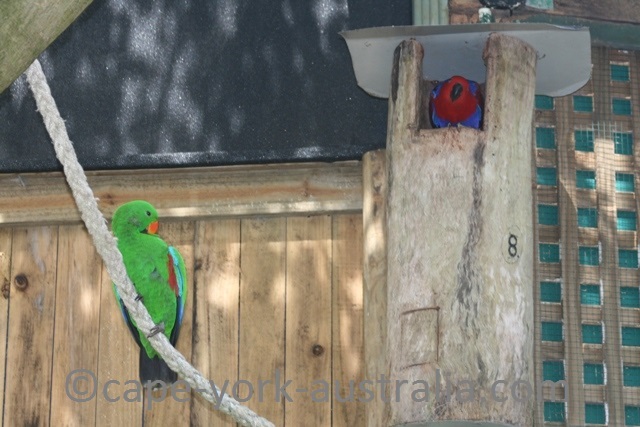 And some of the most amazing Australian ones are the rare eclectus parrots. 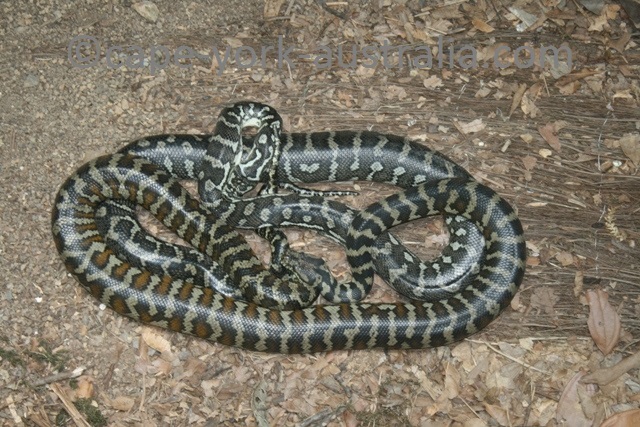 The males are green and the females red, and they are only found in the rainforest of Cape York peninsula. They will come and sit on your head, shoulder and hands, you can get great photos. 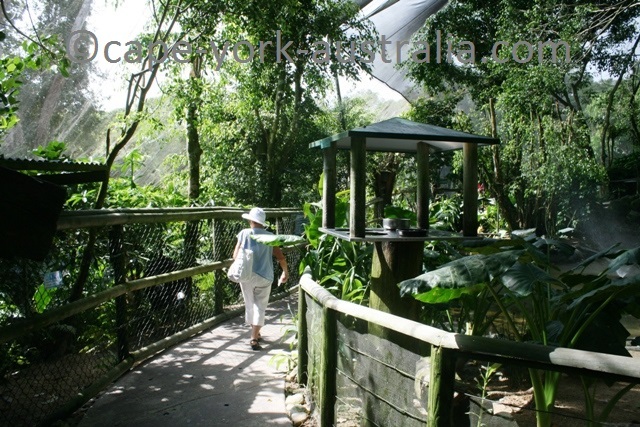 Kuranda Koala Gardens is where you can see the typical Kuranda wildlife and other Australian animals. ... and some history of Kuranda's railway, forestry and pioneering families. 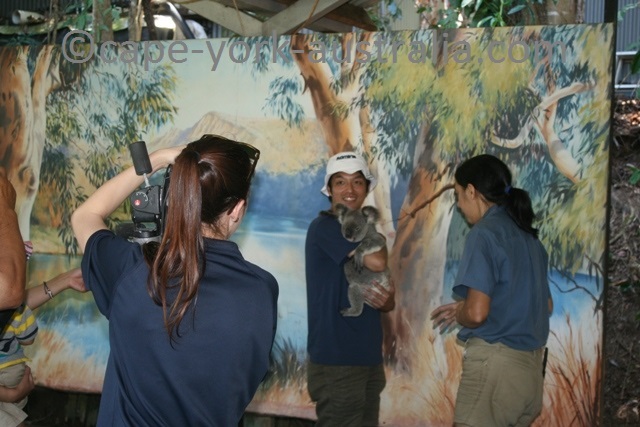 And finally, things can get even more touristic than koala cuddling. 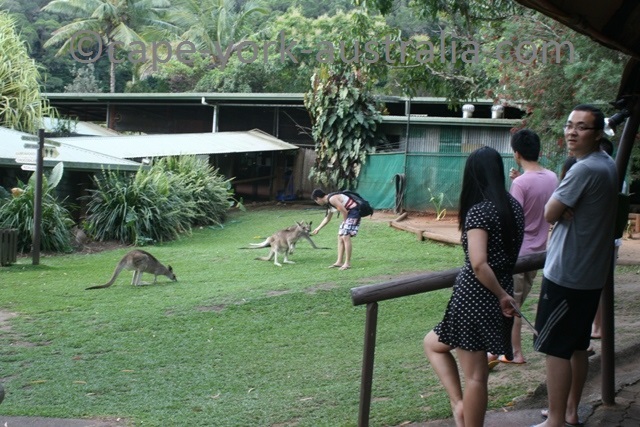 At the Kuranda Rainforestation you can also get an Aboriginal cultural experience on top of the Aussie animals. 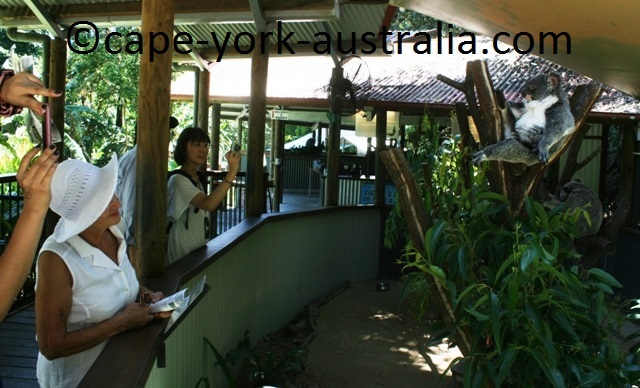 There are three main things, that you can also do one by one: an animal park, an Aboriginal cultural experience, and a rainforest tour on a WWII army duck. 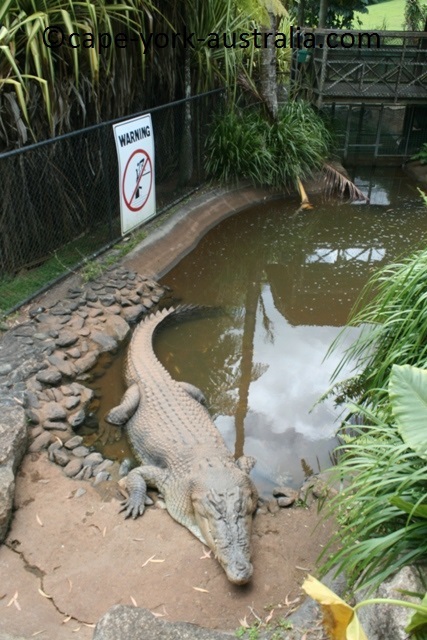 ... and the deadly saltwater crocodiles. 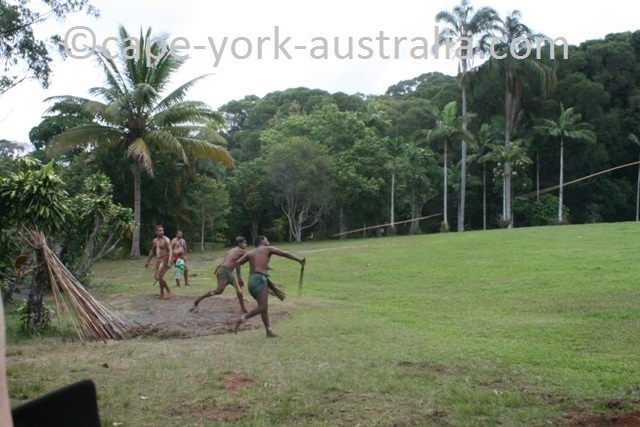 The Aboriginal experience is by the local Pamagirri People, and includes a spear throwing and didgeridoo playing demostration, a dance performance, and you throwing a boomerang. 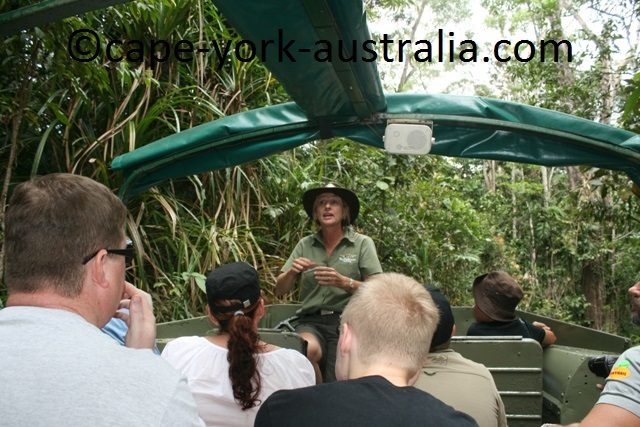 The rainforest tour takes you with a guide on a Second World War army duck through the beautiful Kuranda rainforest to a lake for a cruise. 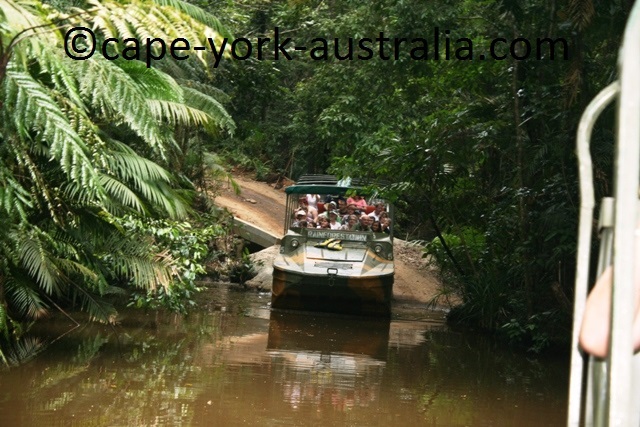 The guide will explain the plants and the rainforest, and there is even a little bit of four wheel driving.